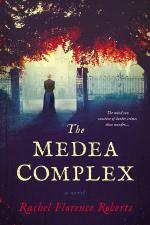 This entry was posted in Dark Read, Historical, Psychological, Review, REVIEWS (ALL) - Reverse Chronological Order, Thriller and tagged dark-read, historical, psychological thriller, Rachel Florence Roberts, re-release, review, The Medea Complex. What an intriguing plot. I’m wondering about Edgar Stanbury right away, but will have to read to find out!